These clear PET food jars are custom molded by SKS to offer a variety of beneficial packaging features for your products. Wide mouth openings allow for easy access and dispensing, while tall, straight sided walls provide ample space for custom labeling. These durable, lightweight plastic jars also have flat bases for stability during storage, and are FDA approved, reusable, and recyclable. 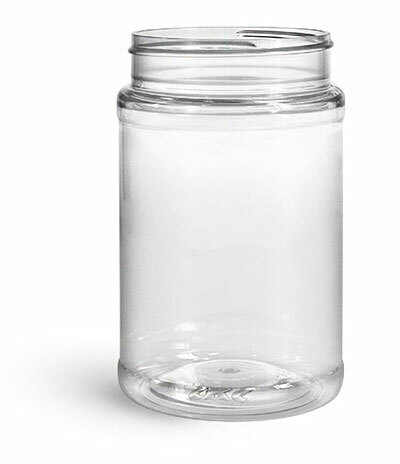 Choose these clear PET jars for a wide variety of food products such as peanut butter and spreads.